Enslaved by King Kregant’s army, Dar survived by befriending the fierce orcs who were also forced to serve. Now she has escaped—only to find that the price of freedom may be her destiny. 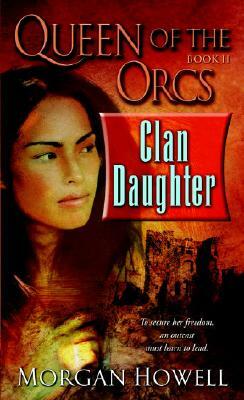 Calling on her untried leadership abilities, Dar guides the surviving orc soldiers to the safety of their homeland—but the clan leaders refuse to accept her unless she can release their queen from Kregant’s fortress. Shaken by her growing gift for dark prophecy and a fate she feels unprepared to accept, Dar must infiltrate the very heart of the despot’s empire. There she will discover unexpected treachery and an ancient power that threatens the future of all.